New Life Member page has been created with brief profile data. You can click the icon in front of Brig Aamir Ijaz for sample profile. Please email us your brief profile data in the same format so we can upload it. c. Chief Editor of PSCP Newsletter ‘The Spectrum’. Prof (Brig) Aamir Ijaz, after graduation from Allama Iqbal Medical College, Lahore (1983), passed FCPS in Chemical Pathology (1995) form AFIP Rawalpindi. He was trained in Paediatric Metabolic Disorders at Great Ormond Street Hospital London. He has also attended courses on Biorisk Management at Sandia Laboratories, Albuquerque, USA and Patient Safety at Maryland, USA. He has served at UN Hospital in Croatia. He is a qualified medical educationist and done his MCPS-HPE from CPSP. He has over 90 publications, authorship of 4 books and nearly 50 scientific presentations to his credit. 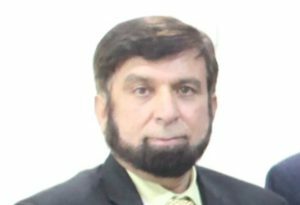 He was editor of the Pakistan Journal of Pathology for three years He was awarded FRCP by Royal College of Physicians of Edinburg UK in 2011. 27 Dr Hafsa Majid Assistant Professor Aga Khan University Hospital 0333-8983031 Aga Khan University Hospital, Stadium road, Karachi.